← What is that big, orange thing, anyway? Oh, I do love having dirt to dish. On Friday, April 1st (no, this isn’t an April Fools’ joke!) the Museum will have Gayla Trail, urban gardener and creator of YouGrowGirl.com, give a talk titled DIY Dirt to Dish: Growing Great Grub with Limited Resources. The lecture is at 7pm in Lubar Auditorium and is offered as part of the Museum’s very popular “Art in Bloom” weekend. This is the lecture for those of us that love to grow our own… fruits, veggies, herbs, whatever.. with or without a backyard (or any yard!) Gayla will be on hand to answer your toughest questions. If you’re an enthusiastic noob, like me, or you’ve been troweling away for decades, she’ll have something valuable to share about getting the most out of that $5.00 bag of dirt you bought at the garden center. 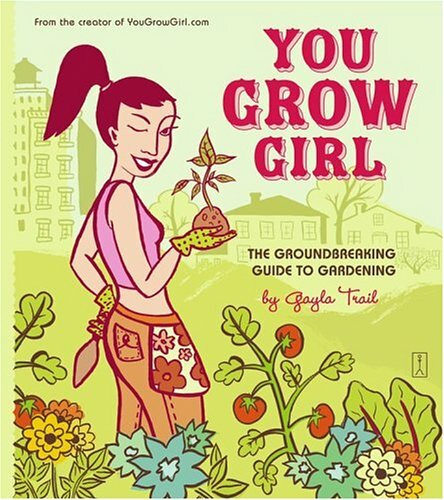 She will also be signing her new book Grow Great Grub, Organic Food from Small Spaces. You can bring a copy of your own book to sign, or purchase it directly from the Museum store here. This event will likely be popular, so get your tickets ahead of time through Friday, March 25th or at the door during Art in Bloom. The cost is $15 ($10 for Museum Members), plus Museum admission (general admission free for Museum members.) For more information on this event and all the programming for our weekend of art and flowers, visit the “Art in Bloom” website here, or call me at 414-224-3803. I’ll see you fellow gardening fanatics there! This entry was posted in Art, Events and tagged Art in Bloom, gardening, Gayla Trail, lectures. Bookmark the permalink.